Jeremy needs our continued support. He needs funds for commissary, but he also needs broader help: since March 2012, Jeremy has been cut off from his friends and family, and punished with extensive stays in solitary confinement – treatment normally reserved for the most egregious offences. His defence team needs financial support to continue advocating on his behalf, monitoring his condition and fighting for his rights while in prison. Donating is the easiest, fastest and most tangible way you can support Jeremy now: click here to donate. If you wish to donate to Courage, who run this support site for Jeremy, and support its work in protecting truthtellers and the public’s right to know worldwide, please go here. Please let Jeremy know his friends and supporters on the outside are thinking of him. You can brighten his day for only the cost of a stamp, or even with a digital postcard sent from your smart phone via Flikshop. Jeremy enjoys reading letters of support and news from the outside world, as his communication with the outside world is strictly limited. Jeremy also gratefully receives articles and books. To find out how to send post to Jeremy, please click here. Jeremy is an avid reader – books are a lifeline for him, keeping his mind occupied and connecting him to the outside world. There is a lot of ‘down time’ in prison and reading greatly helps to pass the time. Jeremy enjoys everything from graphic novels to autobiographies to political works. We have compiled an Amazon Wishlist of books that Jeremy has either directly requested or on topics we know Jeremy enjoys. To find out how to send Jeremy books, please click here. To anyone incarcerated, a letter of support or just a friendly greeting can make a great difference. Jeremy feels great solidarity with fellow political prisoners. Visit the NYC Anarchist Black Cross website to find a prisoner guide filled with names and addresses of political prisoners and prisoners of conscience whose day would be immeasurably brightened by some love from outside prison walls. 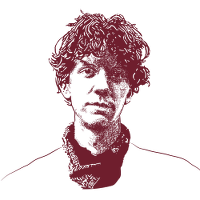 Jeremy Hammond is a passionate advocate of a fair and open internet, and digital privacy. Click here to find out about the campaigns which work towards these goals, and offer information on how you can protect your online privacy.